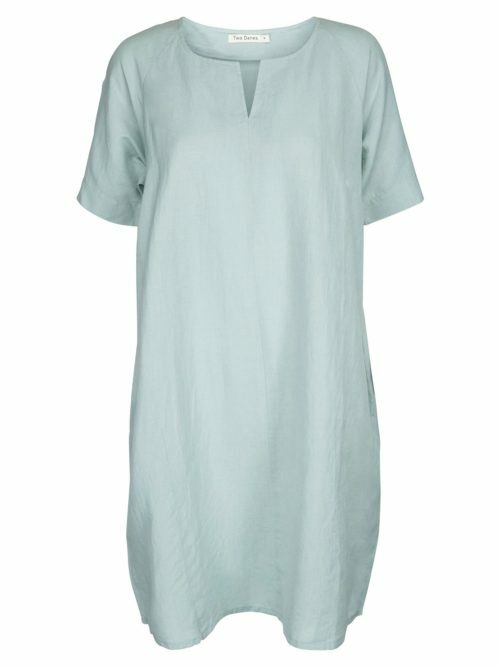 Classy V-necked Lilly dress from Two Danes. 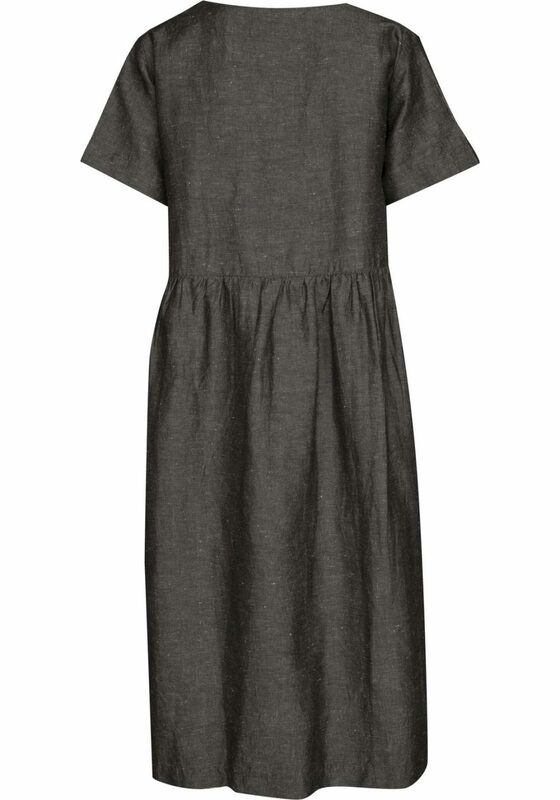 Katie Kerr Lilly Dress in Grey. 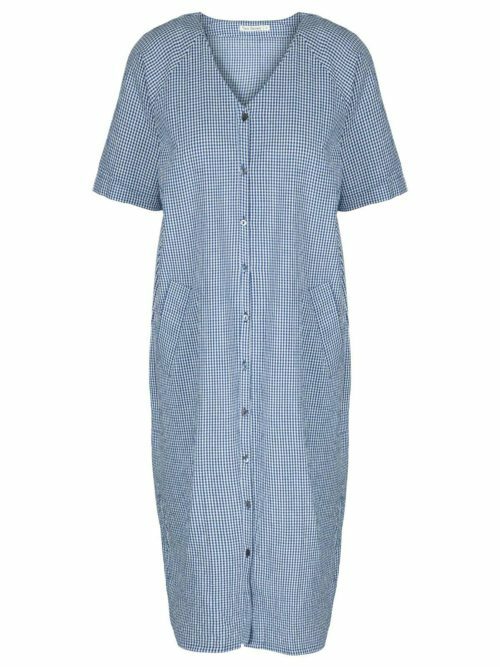 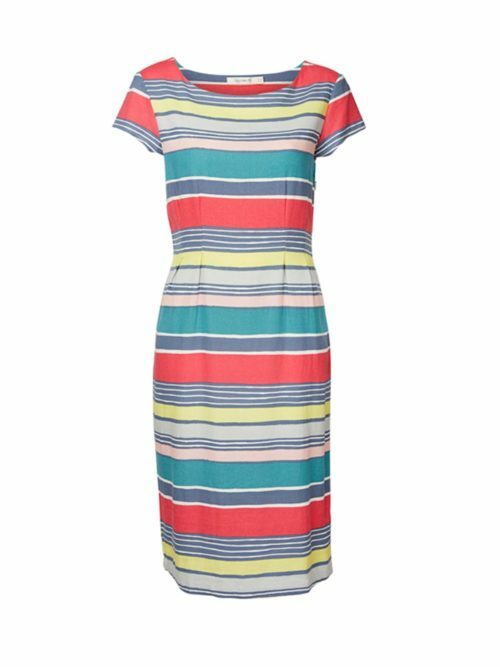 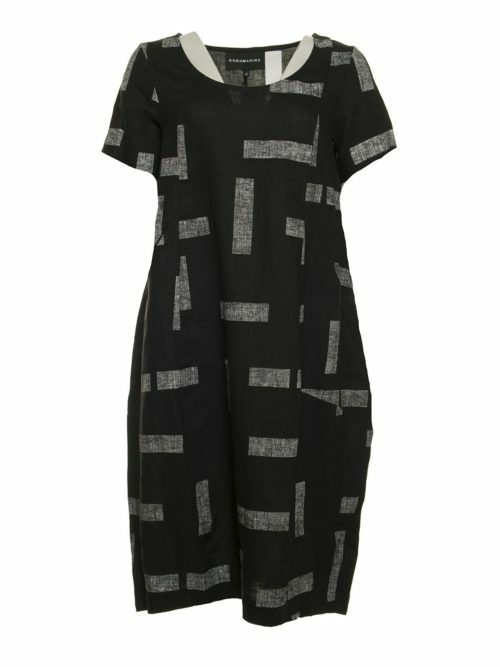 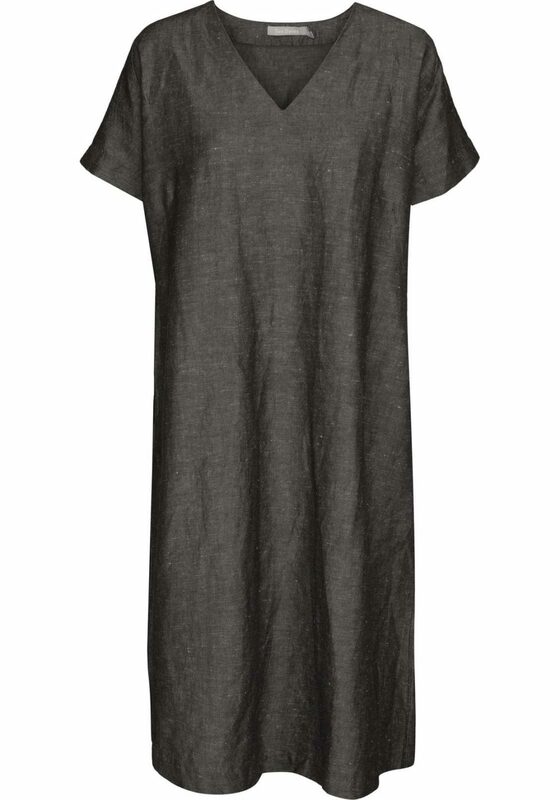 This stylishly simple dress is cut from a dark grey marl, linen/cotton mix fabric, for a relaxed, loose fit. 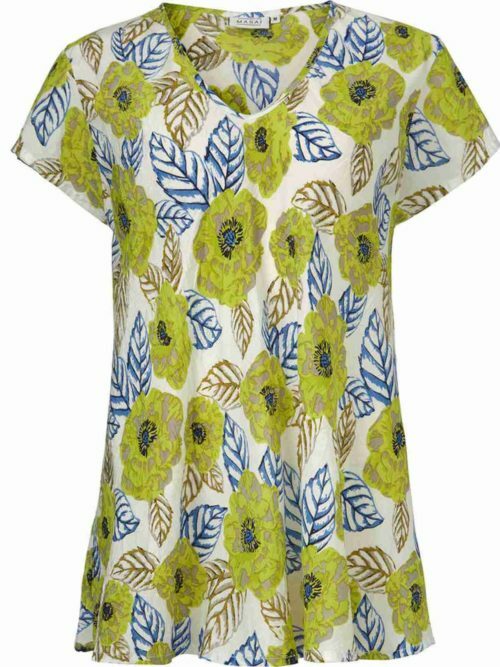 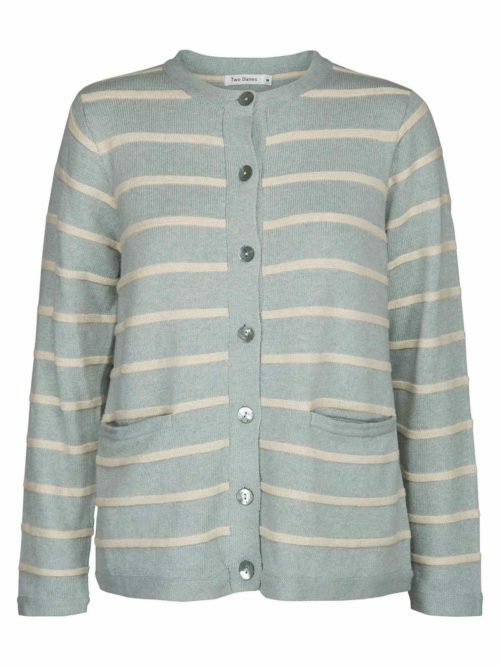 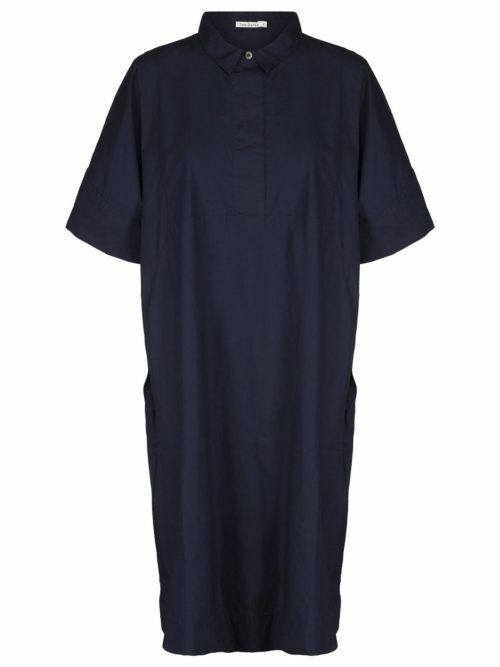 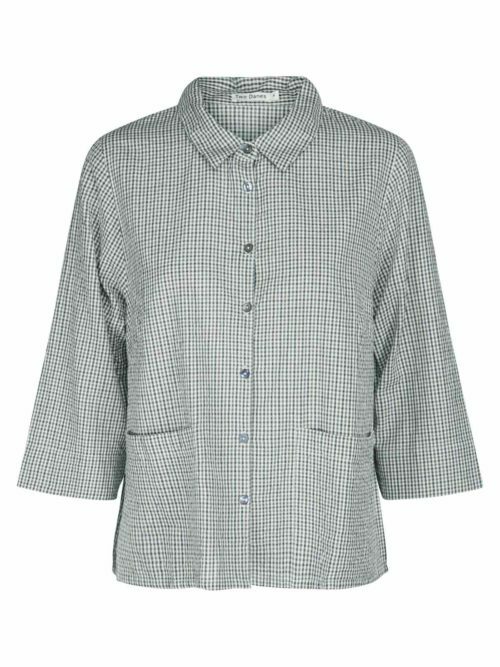 Features V-neck, short sleeves, slanted pockets and pleat detail to waistband at the back. 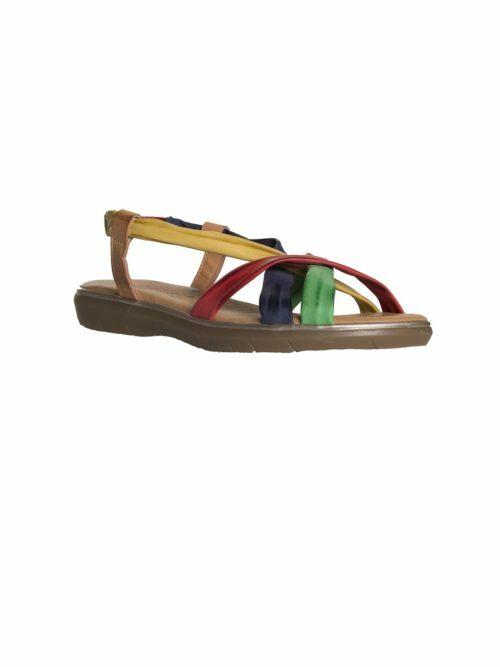 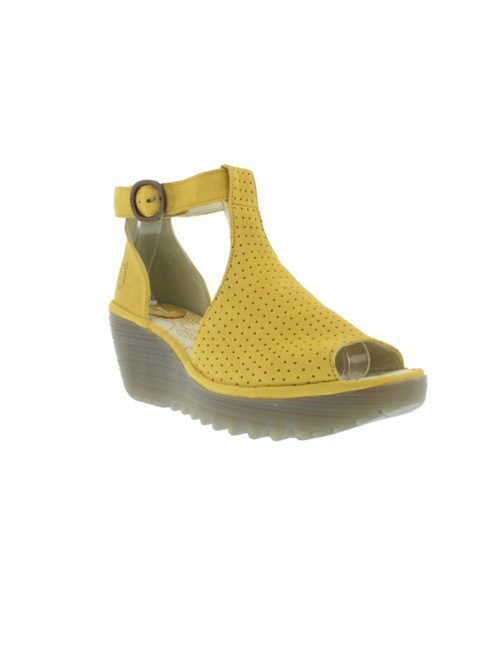 Wear with Wolky’s navy Polina sandal for a smart-casual summer look. 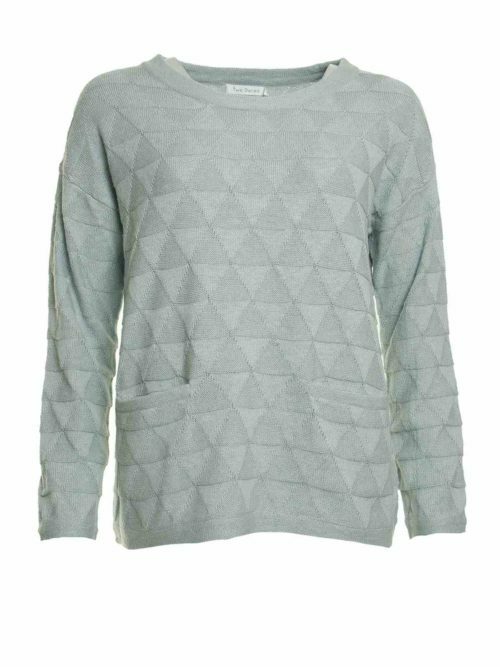 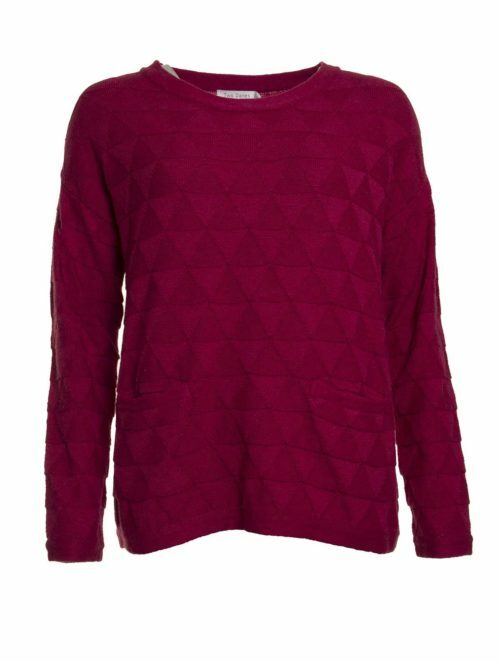 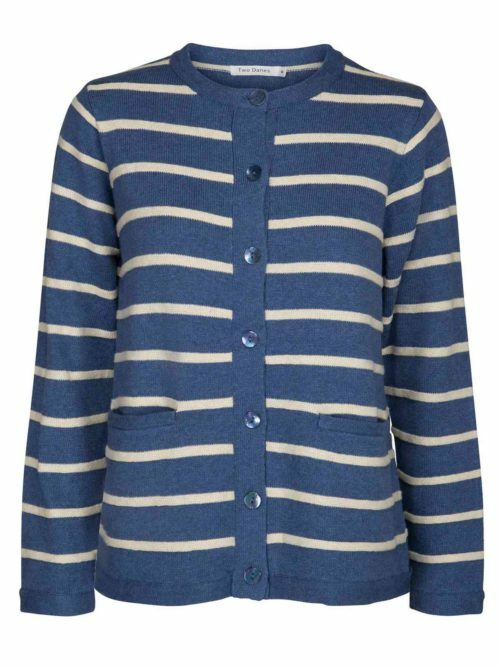 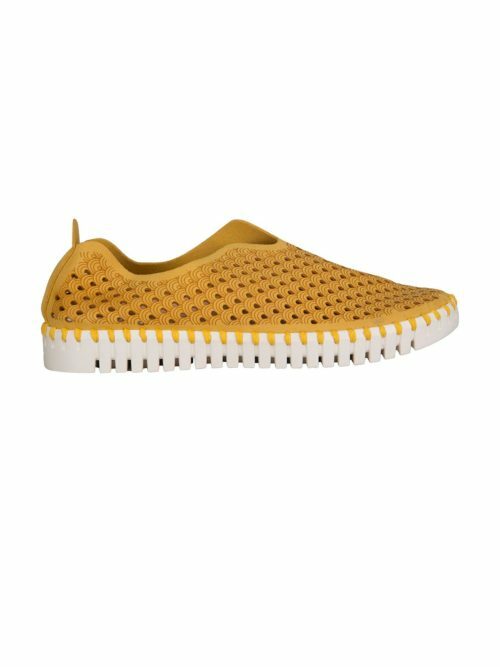 Danish ladies fashion brand, Two Danes start with a classic design and then alter the cut, detail and colour to characterise the design according to the season. 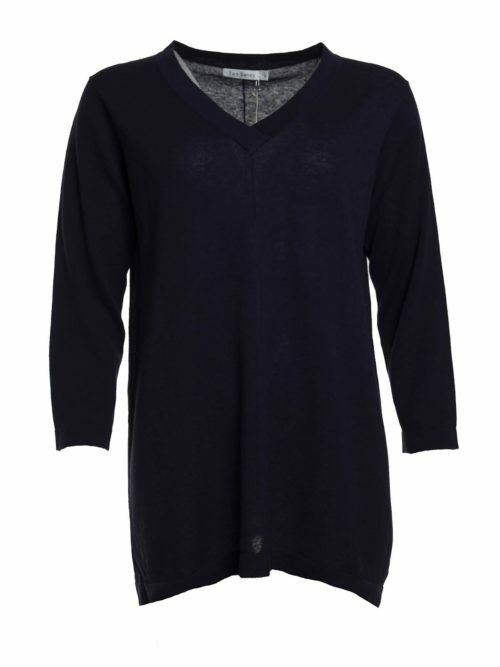 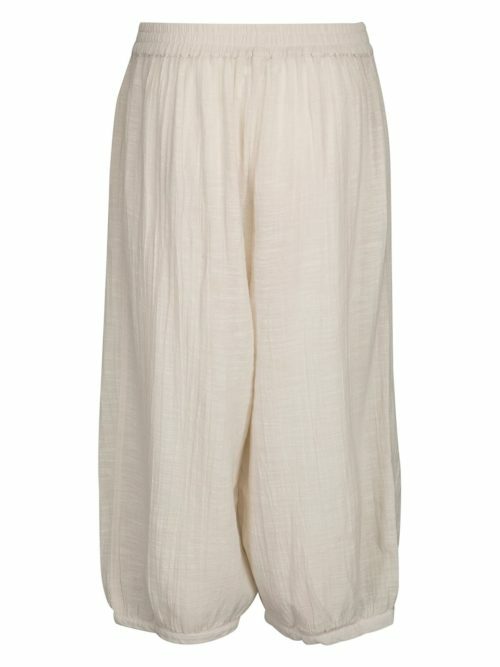 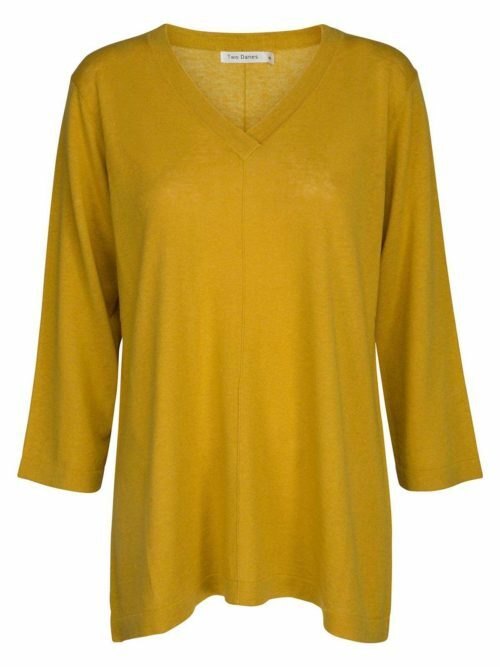 Hemp and Bamboo fabrics are a classic for Two Danes designs and create comfortable and stylish tunics and knitwear. 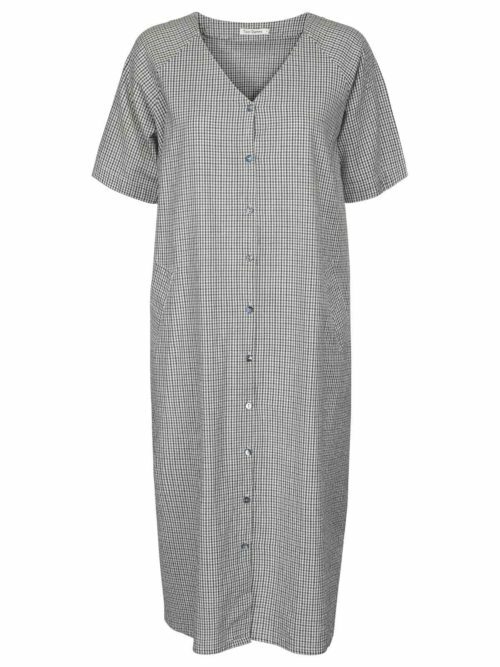 This women’s fashion brand was discovered by Katie Kerr on a trip to Copenhagen where they found these gorgeous Danish garments that were practical and easy to wear.